International Women's Day 2015 - Planet Aid, Inc.
No matter what you think about Arquette’s speech or her later comments backstage and on Twitter, there is plenty to discuss about women, rights, wages, and equality. According to UN Women, most women around the world earn only 60 to 75 percent of what men earn and they spend one to three more hours a day doing unpaid housework than men. (By the way, have you ever seen a television commercial for a cleaning product that isn’t being used by a woman?) Furthermore, nearly 90 percent of 143 world economies have some sort of legal language that restricts women’s economic opportunities (like laws that prevent a woman from accepting a job if her husband forbids her from doing so). These issues will be part of the global discussion this Sunday, March 8, which is International Women’s Day. 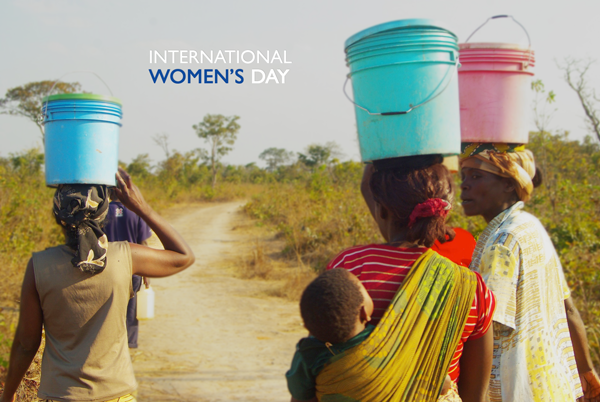 In honor of this day, the U.S. Chamber of Commerce Foundation and the United Nations Office of Partnership are hosting Turning Action to Inspiration: Next Steps for the Private Sector to Empower Women Globally on March 4. Empowering women globally is a timely topic for the private sector. It’s a smart business move to empower women. According to the International Finance Corporation (IFC), small and medium enterprises (SMEs) with female ownership represent 30 to 37 percent of all SMEs in emerging markets. The IFC argues that the financial power of women is growing—much of it in emerging markets—and that women make 80 percent of buying decisions on consumer goods. A recent ActionAid report highlights the International Labour Organisation’s finding that an additional $1.6 trillion in output could be generated by reducing the gender gap in employment. What can the private sector do? It can provide women and all employees with access to childcare, family friendly benefits, and safe transportation to and from work. It can invest in projects that will benefit women and girls. It can ensure equal hiring and equal pay and promotion. And it can utilize women’s inputs and provide opportunities for women to take leadership roles. If you’re looking for an example, look no further than YouTube. The CEO of YouTube (which is owned by Google) is about to go on maternity leave for the fifth time. She argued in a recent Wall Street Journal article that paid maternity leave is good for business. Microfinance projects in India have achieved over $17 million in cumulative loan disbursement, benefiting 40,000 women in Haryana. Vocational schools in six countries help women learn to be entrepreneurs in fields often dominated by men. Farmers’ Clubs strive to train both wife and husband in farming techniques, planning, and economy. Child Aid project member families are often female-headed households. Child Aid works with women to make changes in their families and communities and in educating other women and girls about their options and possibilities for the future. Teacher training colleges in six countries are graduating 5,000 new teachers annually. During their training, female and male student teachers learn to work together as a team while gaining knowledge about the importance of gender equality and the empowerment of girls and vulnerable children. Support our efforts to bring about lasting change by making an online donation or by partnering with us on a program.